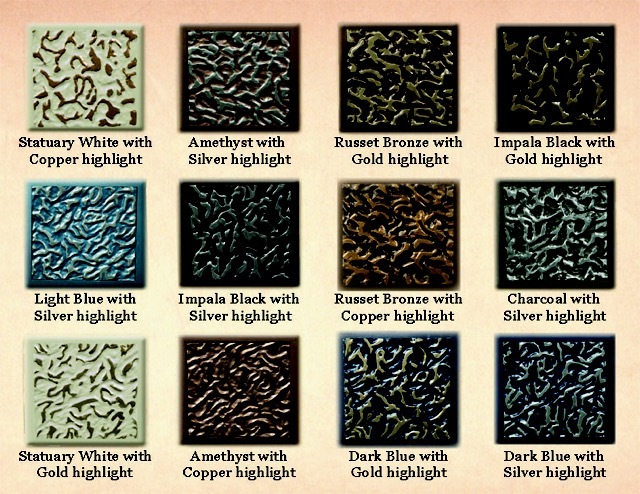 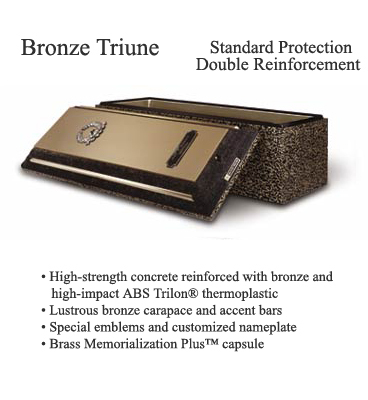 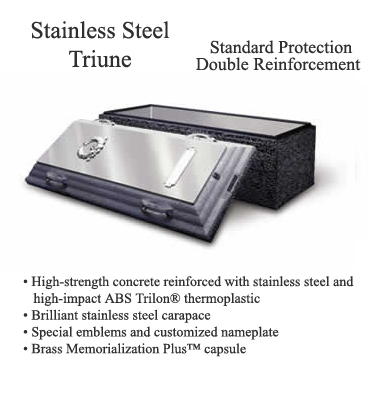 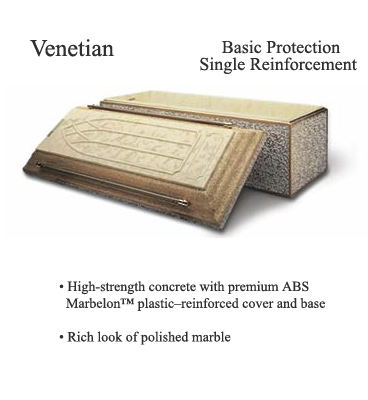 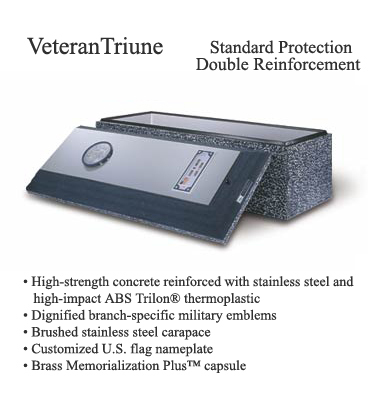 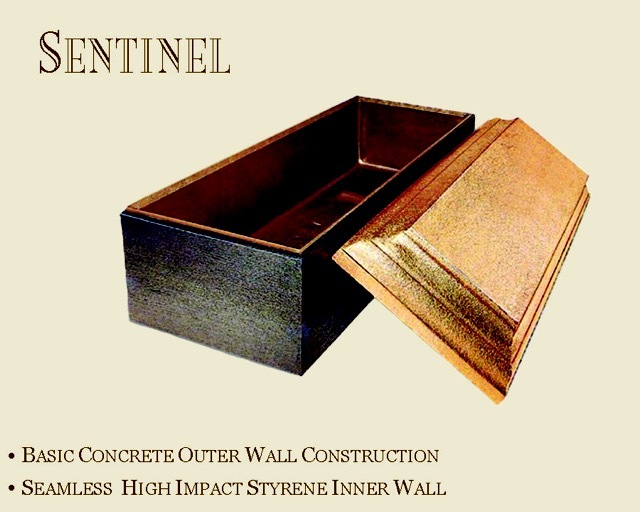 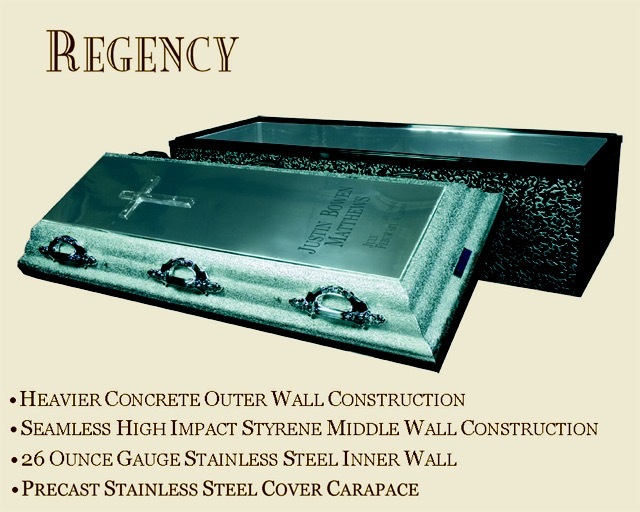 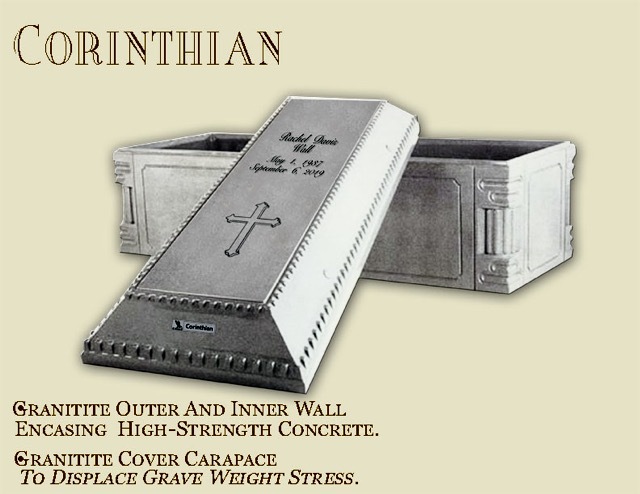 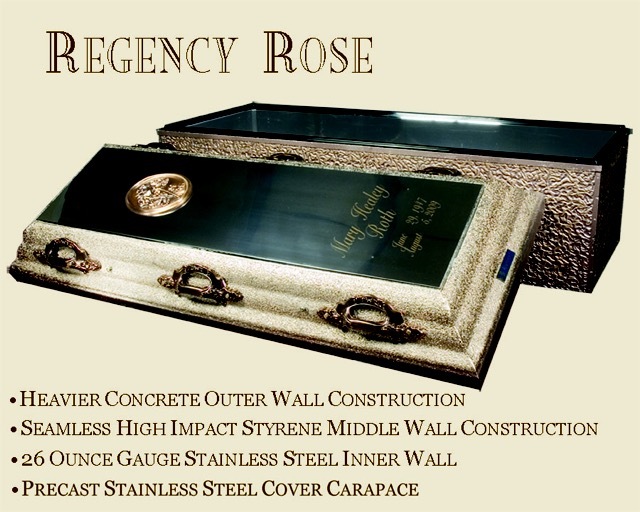 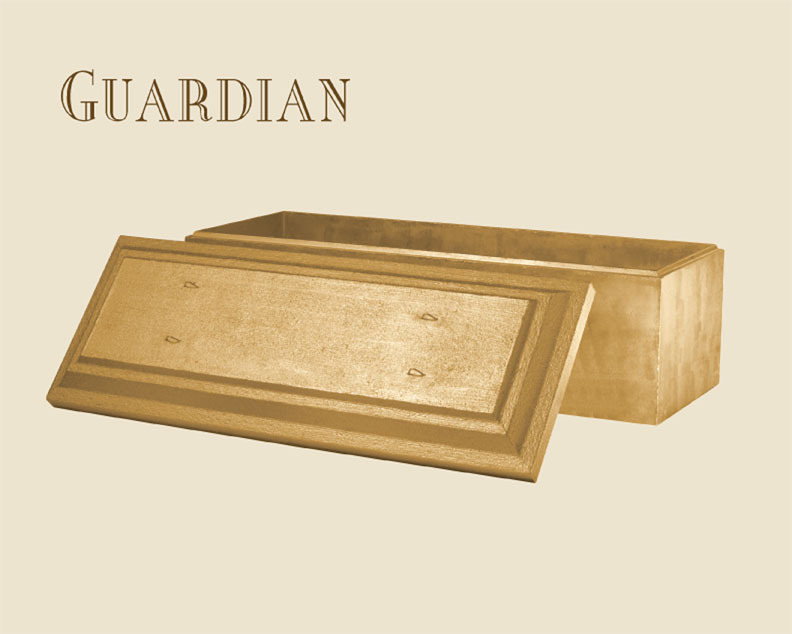 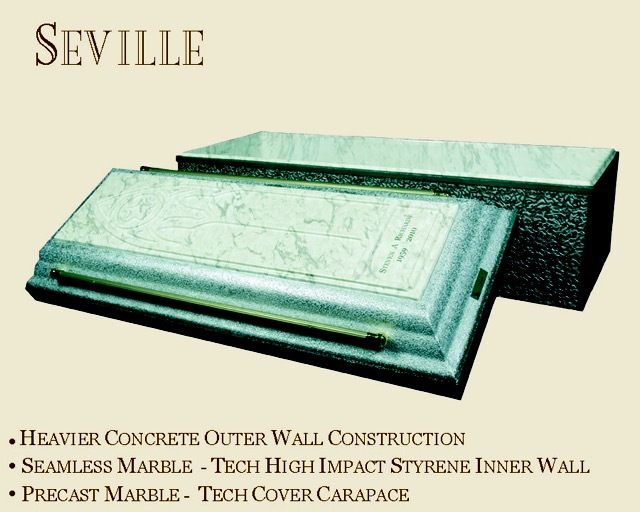 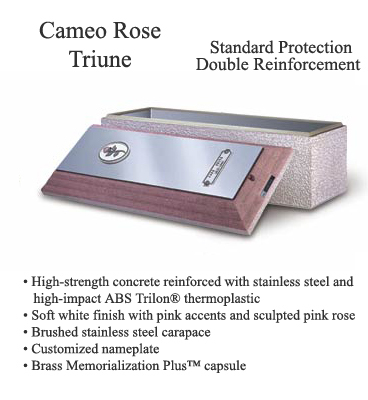 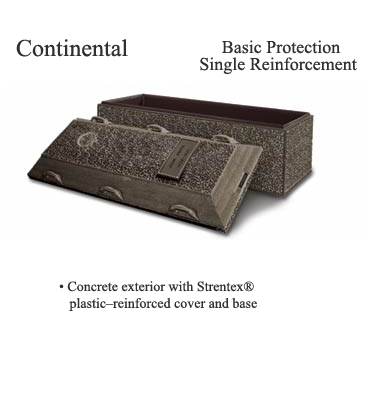 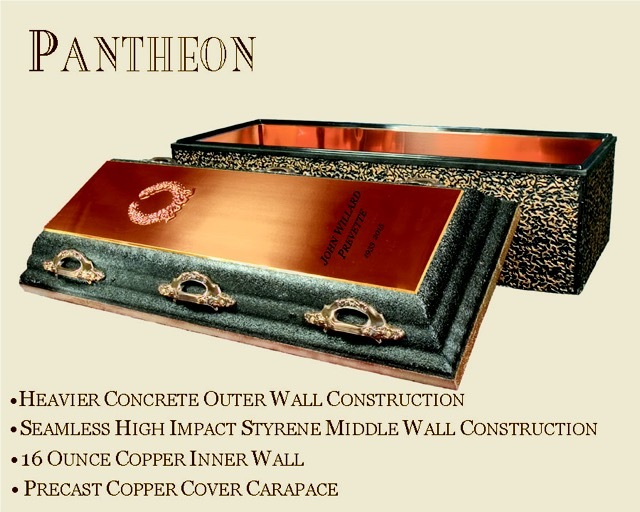 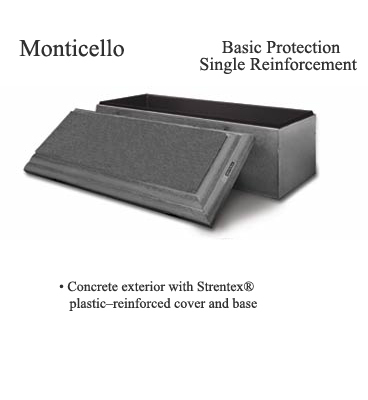 Burial Vaults are special receptacles made of concrete or metal that hold (or “receive”) the casket. 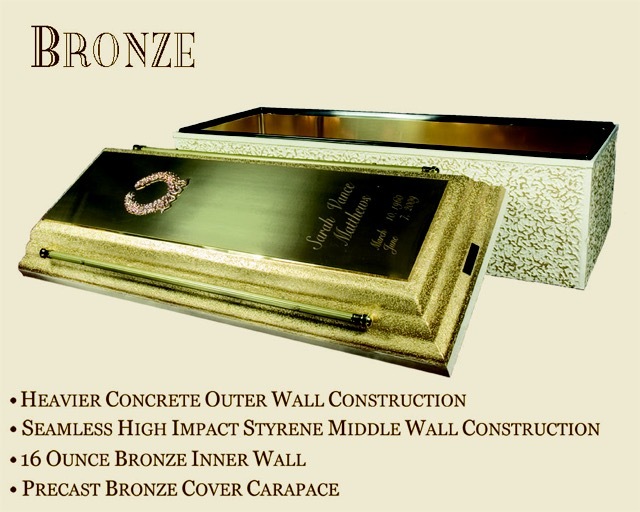 Vaults are usually made of concrete or metal which can withstand the pressure of the dirt and the earth that rests above it. 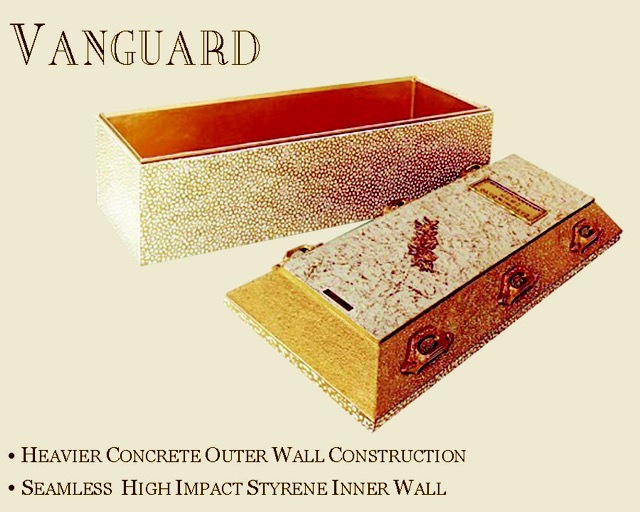 Vaults vary in styles and materials.